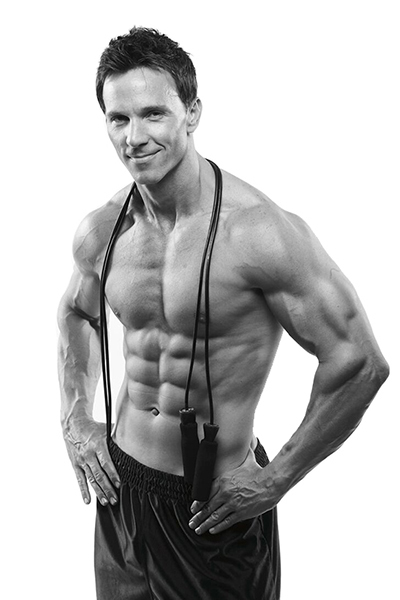 As a fitness professional that has worked on many top campaigns out here in Los Angeles, I get countless questions about all the hyped-up fitness claims and programs out there these days. “Get ripped fast”, “one weird trick”, a “secret shortcut” or supplement from China some bogus scientist discovered. Sadly, the marketing blitz in fitness never ends. We all want to look and feel our best quickly, I get that. But the problem with many of these programs is that that they are selling the unrealistic idea of getting that ripped body too fast or with some magic pill. On top of that, many of them claim to be “functional” and have you do too many joint-pounding movements (plyometrics) that put you at greater risk of injury especially if you are overweight or a bit older. That’s not functional training, that’s risking malfunction. Intensity is great for results, but you certainly don’t need to hurt yourself in the pursuit of better fitness. I can’t count the times I’ve had clients try one or more of these programs only to get joint issues and have to quit training all together to heal. It has even happened to me on the set of a few of these projects I have been a part of. Additionally, many extreme fitness programs have beginners doing Olympic or strange-style moves too heavily and too fast, ignoring proper form. A movement that is a great example of this is called the “kipping” pullup. It’s too fast, using momentum that could seriously damage your joints- plus it just looks goofy. Proper form is paramount and is the focus of my “Great Form Equals Great Results” training DVD’s that are included with my UBAA fitness training program. Without safe form your joints can really take a beating and you’re just cheating yourself out of better results. Less momentum with controlled, full range of motion is always safer and more effective. This is the main difference between myself and various “extreme” programs out there you see these days. Granted, there’s risk performing any kind of training; depending upon your knowledge/fitness level. But why put yourself at more risk? I believe in smaller steps up front then you add more workloads over time to allow your body to adapt and become stronger. This is what will give you real results for a lifetime and not a flash-in-the-pan attempt at getting shredded overnight. It might sound great in a sales pitch but that just isn’t realistic. When it comes to any type of resistance training, use safe form (a little slower) with a little intensity- the body of your dreams will follow and more importantly, you will safeguard yourself from injury. I show you exactly how to do this with my UBAA training system. I’m living proof; still in the same shape I was in when I made the cover of Men’s Fitness magazine and that was over 10 years ago. Train smart! Your body will reward you with great results for a lifetime ;-).